It can be incredibly fun and gratifying to make purchases, and of course, you should have the freedom to spend your hard-earned money however you want. The problem is, not being mindful of your spending can lead to mounting debt, not properly planning for your future and an endless cycle of living from paycheck to paycheck. Maybe one day you realize that your credit card debt is slowly growing with each passing month, or you are falling behind on your bills. Or perhaps you simply looked around you and realized you are surrounded by things you have purchased that you don't need and can’t afford. 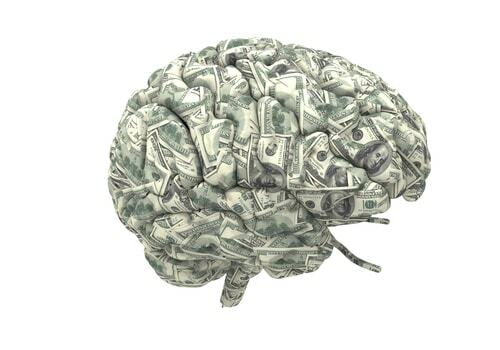 No matter what the catalyst is for becoming more mindful of your spending, there is always a huge benefit to becoming more conscious of how you use your hard-earned cash. If your debt is pressing and the cost of late fees and overdrafts is adding up, there are options that can help get you out of emergency mode, like doing a search for "find a title loan near me” or borrowing from a friend or family. Once you are back on stable ground and have a more relaxed perspective on your budget, then it’s time to work on becoming more mindful of your spending. "Minimalism" and "decluttering" are two popular buzzwords you may be hearing a lot of these days. That's why "The Minimalists” seem to resonate with so many people - their YouTube channel alone has nearly 100,000 subscribers with more joining every day. The duo is made up of Joshua Fields Millburn and Ryan Nicodemus, and they define minimalism as getting rid of the things that don't matter in order to make room for the things that do. Fields and Nicodemus write about the movement on their website as well: "Minimalists don’t focus on having less, less, less; rather, we focus on making room for more: more time, more passion, more experiences, more growth, more contribution, more contentment. More freedom. Clearing the clutter from life’s path helps us make that room." Call-To-Action: The Minimalists have created the 30-Day Minimalism Game that is a fun and easy way to explore the world of reducing your mental, financial and spiritual clutter. Find a partner who also wants to get rid of their excess clutter. Get rid of one item on the first day. On the second day, two items, and so on. 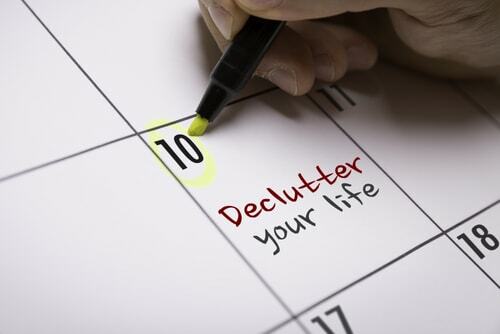 Let go of anything (clothing, furniture, electronics, home decor) that is part of your clutter. Each material possession needs to be out of your house by midnight daily. Whoever goes the longest wins; you both win if you can make it the full month. Handpicking your own personal support network not only makes you more mindful of your finances, it is also proven to help you succeed in the long term. A good accountability team is one that achieves a collective goal and creates incentives for success. This makes for much stronger, meaningful relationships and better overall results. Accountability is not just a term your work manager uses. In sports terms, it means connecting with teammates and working hard to not disappoint them. Builds a stronger community with the people you trust most. Makes you less prone to go on another shopping spree. You stay motivated longer to reach your goals. They'll validate you when you take steps to reach your goal, which will make you want to keep making good choices. When you feel like giving up,they can encourage you to stay on track. This also makes it more difficult to mentally justify overspending. There aren't many ways to romanticize the task of budgeting, but this tool is essential if you want to be more mindful of your money. Put together a "vision board" of your top three wants, whether it's your dream house, a vacation or any other purchase that is beyond your current budget. Open a dedicated savings account and set aside a certain amount from each paycheck to save towards this goal. Invite your accountability team over for a budget party on a monthly or quarterly basis to work on your budget together as a group. Turn it into a sport by setting mini goals and new targets in your budget, like cutting your grocery bill in half by next month. Replace those impulse-driven shopping trips with a "Reward" category. You need something to look forward to, plus you’ll probably save more while cutting down on frivolous spending. Use a journal to create your budget, track progress, as well as make and refine your goals. Download Mint to your smartphone, tablet or computer. This free, web-based personal financial management service can remind you about upcoming bills, sort your spending into categories (e.g. shopping, fees & charges) and help you create numerous budgets and goals. Paula Rizzo is known as The List Producer and author of "Listful Thinking: Using Lists to be More Productive, Highly Successful and Less Stressed." On Rizzo's website, she has a five-bullet list of how to the list-making process can help you be more mindful of your spending by prioritizing your expenses and expenditures. Write down your monthly expenditures. By creating your list and visually prioritizing your expenses, it will quickly become apparent which things you can live without. Not only will you save money, but you will become a more effective and efficient budgeter. 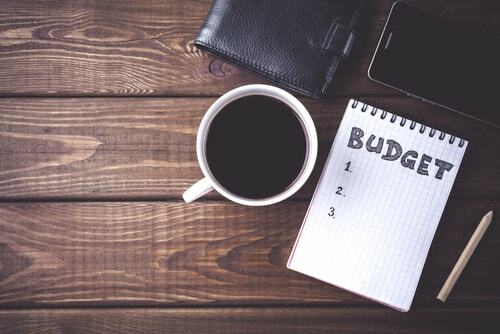 Prepare yourself for those familiar shopping urges by making a list of alternate activities you can engage in when you are tempted to break your budget. Part of being a more mindful consumer is getting the most for your money when you make a necessary purchase. While many people enjoy the process of comparing prices from store to store or by doing their own research online, there are several free time-saving shopping apps available to help you maximize your savings potential.